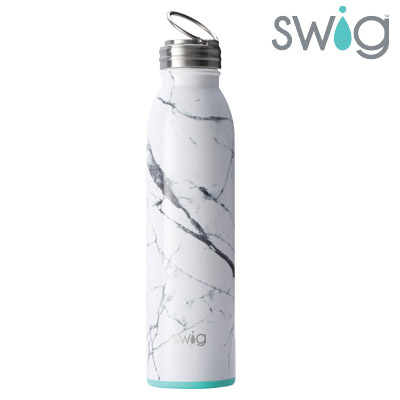 Swig Print Stemless Cup- Spirit Products Ltd.
14 oz. double wall 18/8 stainless steel insulated cup with clear drink thru lid. Dishwasher safe. Non-slip silicone base. Reusable straw is included. Hot: 3 hours. Cold: 9 hours.